The nice thing about the Drewry Hills is it offers well-taken care of properties, and a nice, clean neighborhood in Raleigh, NC. You might be wondering, What does Drewry Hills offer? 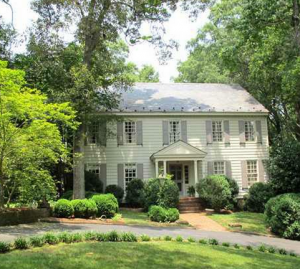 Well, it offers over 300 homes by the Crabtree Creek Greenway system, which is an extraordinary school system. You will find the homes in Drewry Hills can range from the modest look to the estate style homes. No matter what you desire, you can find it in Drewry Hills. Another great thing about Drewry Hills, you are just minutes away from many of the nearby luxury stores and restaurants in the area. Drewry Hills is an area that offers a wide selection of things to do. The nice thing about this is that you will never be bored. For example, you could pay a trip to Historic Oakwood. This is a location that is an exceptionally old neighborhood with much history and beauty. Historic Oakwood offers many Victorian style homes. They were built between the years 1870 and 1912, which is going to be a history enthusiast’s paradise. The area is said to be highly artsy and creative, and if you saw the area, you would know why. This is a park with a great deal of history. The park features over 174 acres, and people can go hiking on one of the many trails available. It is a phenomenal location to get a good workout. Also, be sure to check out the small museum at this park. It is a great place to learn about the history of the park. With such beauty, the park is a popular choice for engagement photos, as well as photography in general. This is one of the most beautiful parks in all of North Carolina. The Wells Fargo IMAX Theater is the only IMAX theater in all of North Carolina. If you have never been to an IMAX theater, then you would be wise visiting this location. The IMAX experience is unlike anything you will experience at a smaller theater or with a small TV. Because the theater is so big, you will literally feel like you are moving with the movie. You will find a wide variety of different movies and documentaries being played at the IMAX theatre. Drewry Hills in Raleigh, NC is a location that is beautiful and a great place to raise a family. The advantage of this location is that there are so many entertainment options. Even people who get bored easily will have a hard time complaining in Drewry Hills.